Documenting inbreeding and its potential costs in wild populations is a complicated matter. Early infant death before genetic samples can be collected limits the ability of researchers to measure fitness costs, and pedigree information is necessary to accurately estimate relatedness between breeding individuals. Using data from 25 years of research from the Lomas Barbudal Capuchin Monkey Project, and a sample of 109 females that have given birth, we find that despite frequent co-residency of adult opposite-sexed individuals, capuchins produce offspring with close kin (i.e., related at the half-sibling level or higher) less often than would be expected in the absence of inbreeding avoidance. We do not find support for alternative, non-behavioral explanations for this pattern and thus argue for mate choice. Furthermore, we find evidence for fitness costs among inbred animals in the form of delayed female age at first birth but not significantly higher juvenile mortality. Further research is necessary in order to determine the mechanisms by which individuals develop sexual aversion to close kin. Through a combination of demographic records, maternal pedigrees, and genetically determined paternity, this study provides a detailed study of inbreeding and inbreeding avoidance in a well-studied mammal population. This study provides (1) evidence that capuchin monkeys avoid mating with close kin at both the level of parent-offspring and half sibling and (2) evidence of fitness costs to inbreeding in the form of delayed first age at reproduction. The online version of this article (doi: 10.1007/s00265-016-2168-1) contains supplementary material, which is available to authorized users. The following field assistants contributed observations to the data sets used in this manuscript: C. Angyal, B. Barrett, L. Beaudrot, M. Bergstrom, R. Berl, A. Bjorkman, L. Blankenship, T. Borcuch, J. Broesch, D. Bush, J. Butler, F. Campos, C. Carlson, S. Caro, M. Corrales, C. DeRango, C. Dillis, N. Donati, G. Dower, R. Dower, K. Feilen, J. Fenton, A. Fuentes Jiménez, M. Fuentes Alvarado, C. Gault, H. Gilkenson, I. Gottlieb, J. Griciute, L. Hack, S. Herbert, C. Hirsch, A. Hofner, C. Holman, J. Hubbard, S. Hyde, M. Jackson, E. Johnson, L. Johnson, K. Kajokaite, M. Kay, E. Kennedy, D. Kerhoas-Essens, S. Kessler, S. Koot, W. Krimmel, T. Lord, W. Lammers, S. Lee, S. Leinwand, S. Lopez, S. MacCarter, M. Mayer, W. Meno, M. Milstein, C. Mitchell, Y. Namba, D. Negru, A. Neyer, C. O’Connell, J.C. Ordoñez J., N. Parker, B. Pav, R. Popa, K. Potter, K. Ratliff, K. Reinhardt, E. Rothwell, J. Rottman, H. Ruffler, S. Sanford, C.M. Saul, I. Schamberg, C. Schmitt, S. Schulze, A. Scott, J. Shih, S. Sita, K. Stewart, W.C. Tucker, K. van Atta, L. van Zuidam, J. Vandermeer, V. Vonau, J. Verge, A. Walker Bolton, E. Wikberg, E. Williams, J. Williams, D. Works, and M. Ziegler. We are particularly grateful to H. Gilkenson, W. Lammers, M. Corrales, C. Dillis, S. Sanford, R. Popa, and C. Angyal for managing the field site. K. Kajokaite, W. Lammers, K. Otto, E. Wikberg, and S. Wofsy helped to compile the data. Costa Rica. Colleen R. Stephens provided input and support on statistical analyses. Joseph H. Manson provided constructive feedback on an earlier draft of this paper. We thank Ronald Noë and two anonymous referees for helpful comments. Graduate support for IG was provided though a Eugene V. Cota-Robles Fellowship, Ford Predoctoral Diversity Fellowship, National Science Foundation Graduate Research Fellowship, UCLA NSF AGEP Competitive Edge Summer research award, UCLA IRSP research award, and a UC DIGSSS Summer Research Mentorship award. 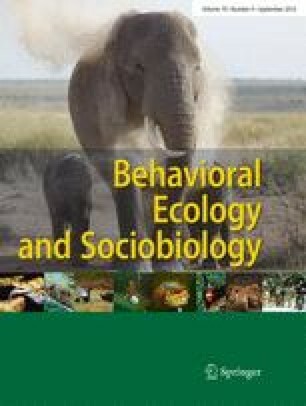 Dissertation research support for IG was provided by grants from the International Society for Human Ethology, the Wenner Gren Foundation (grant 443831), the L.S.B. Leakey Foundation (grant 20120195), the National Science Foundation (grant BCS-1232371), and two UCLA Anthropology research grants. This project is also based on work supported by the Max Planck Institute for Evolutionary Anthropology and by grants to SEP from the National Geographic Society (grants 7968-06, 8671-09, 20113909), the National Science Foundation (grants BCS-0613226, BCS-0848360), the L.S.B. Leakey Foundation (grants 20060592, 20082262, 20112644), and the UCLA Academic Senate. Any opinions, findings, and conclusions or recommendations expressed in this material are those of the author(s) and do not necessarily reflect the views of any of the funding agencies. We thank the Costa Rican park service (SINAC), the Area de Conservacion Tempisque-Arenal (MINAET), Hacienda Pelon de la Bajura, Hacienda Brin D’Amor, and the residents of San Ramon de Bagaces for permission to work on their land. Research support was provided by grants from the International Society for Human Ethology, the National Geographic Society (grants 7968-06, 8671-09, 20113909), the Wenner Gren Foundation (grant 443831), the Leakey Foundation (grants 20060592, 20082262, 20112644, 20120195), the National Science Foundation (grants BCS-0613226, BCS-0848360, BCS-1232371), the UCLA Department of Anthropology, the Max Planck Institute for Evolutionary Anthropology, and the UCLA Academic Senate. All applicable international, national, and/or institutional guidelines for the care and use of animals were followed. The UCLA Institutional Animal Care and Use Committee (IACUC), known as the Chancellor’s Animal Research Committee (ARC), approved the protocol (ARC # 2005-084).